[XPB-KDP1005X] Our Dogipot Dog Valet is a very durable, polyethylene container. Units are available in Forest Green with white lettering or Sand Beige with green lettering. Unit size is 32 x 19 x 14 inch. Comes complete with: Galvanized mounting post for direct bury, Locking front access lid, Clearly printed instructions on top, 2 rolls (200 ea.) 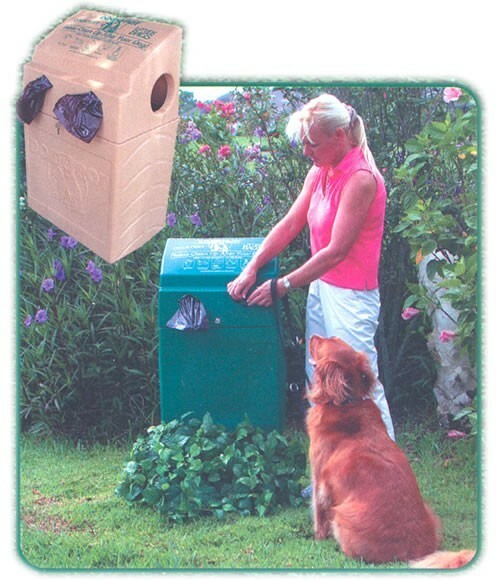 biodegradable brown litter bags, and 50 heavy-duty drawstring trash liner bags. For shipping quotes, orders or questions please call our Customer Service Center at 1-877-483-9270.